Every aquarium keeper and aquascaper should be concerned about the wellbeing of their fish, shrimps or crayfish. Suitable food is the key to having healthy, vital stock. A varied diet that is adapted to the needs of the animals to be fed should be supplied so your tank inhabitants will lead a long and healthy life. Special foodstuffs improve the animals' colours, too. 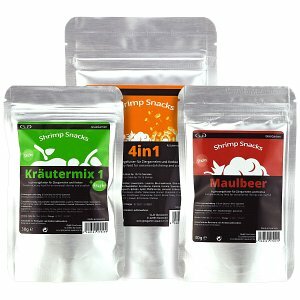 In our Aquasabi online shop you can buy all types of food that your shrimp and fish like to eat. 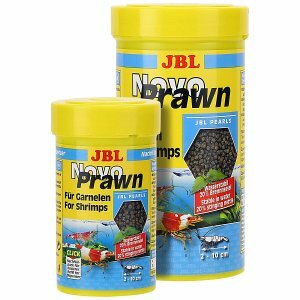 You'll find premium shrimp feed and fish food from renowned manufacturers such as JBL, Dennerle and GlasGarten. There are a few things to consider when feeding dwarf shrimp, which are very popular in aquascaping. We have a comprehensive article in our Aquascaping Wiki, containing all important info on this topic. 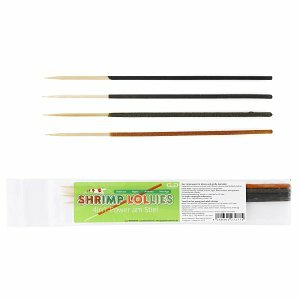 In addition to shrimp food in the form of pads, pearls, sticks, pops, granules and powders, which have proven themselves particularly helpful in the rearing of young shrimp, you will also find useful helpers for the feeding of shrimp in our online shop's "Food" category: In addition to automated feeders, we also offer feed trays, tubes and the shapely feed glasses by ADA and Borneo Wild. 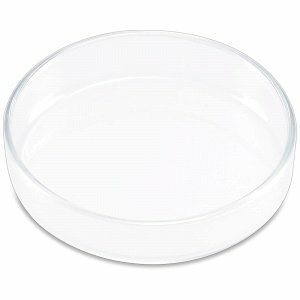 For the handling of feed trays for ornamental shrimp we have included an informative illustrated article in our wiki: "Feed tray for shrimp in an aquarium". 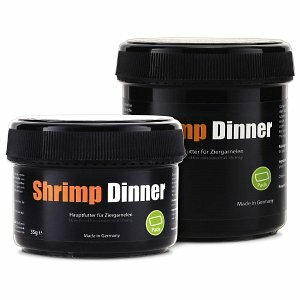 Apart from that, we also offer nature foods, very popular among the shrimp population, like brown foliage and dried oak- and nettle leaves. 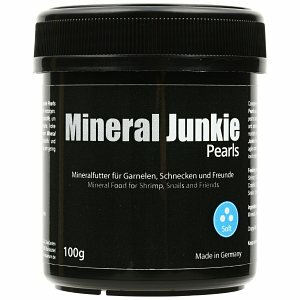 With mineral feeds like the Mineral Junkie Pearls your shrimp and dwarf crabs will be able to cover their mineral needs. Special color-boosting food will help you to develop the full color splendor in your aquarium or aquascape. The table is richly set not just for the little crawlers, but your fish will find a rich selection of premium food for catfish, discus, guppies, neon or betta but of course also the well-thought out feeding concept by Dennerle for community aquarium fish and the tried-and-tested fish food by JBL as flakes, tabs and granules. 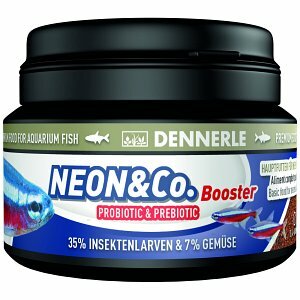 "Healthy, fascinating fish in the aquarium - with vibrant colours and a sprightly habit" and that "wellness is all in the gut", are no hackneyed marketing phrases - but hard facts! 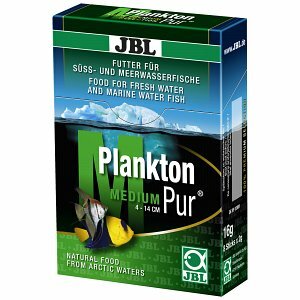 By choosing the right fish food you can optimally support your aquarium inhabitants and at the same time ensure that the water load is minimized by not having unnecessary fillers in the fish food. Interesting tips, among other things, about the correct feeding of your fish in the aquarium and aquascape can be found in the following article in our Aquascaping Wiki "Let's start with Q: keeping fish".